Piggery – It’s actually a backyard business controlled and manage by my brother, I am just an investor and I normally earn at the range of Php 3,000 to Php 5,000 a month from a Php 70,000 capital, It’s just an estimated average amount. I have an online business, I build website and do some SEO (Search Engine Optimization), get some writers and let the advertisers come in. 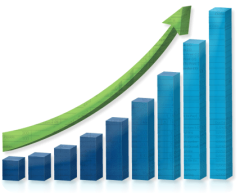 As of this time our online earnings is not stable due to changes of algorithm being made by Google. I have small funds at the stock market, where I save every month. As of now my investment in stock market is earning 10% from the time I start last January. I mean Capital vs Net Total Account Equity Value. I use colfinancial.com as my broker since I am living outside the Philippines and I have to manage my portfolio online. I still have some debts to pay. I actually made this blog to remind myself that I need to focus and learn more things in investing so that I could leave a debt free life. I always believe in Proverbs 22:7, “ The rich ruleth over the poor, and the borrower is servant to the lender. “ (KJV). I will try to explain my experience about the different business mentioned above on my future blog post. This article has great ideas that could be done almost anywhere. In the 5+ years that I’ve lived in Asia, I’ve observed many Filipinos working outside of The Philippines. For instance, in Thailand, Filipinos are very sought after because of their grasp of the English language, and their usually strong work ethic and moral code. However, I’ve also observed that many skilled Filipinos are given smaller salaries and asked to work longer hours than Native English speakers who are less qualified. Three of my Filipino friends in Bangkok got fed up and started a printing company with another Thai friend. It started out as a supplementary side-job, but the business grew to the point where they registered it and made it legal in Thailand. They did their research and got their Thailand company registration approved; now they are thriving. These are good ideas and there are many other creative ways to make money. Nice blog! Sory to leave a comment like this here, but I couldn’t find an About page or Contact Us page. Anyway, we’re creating an online personal finance magazine. 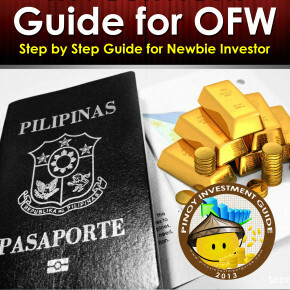 Our aim is to spread financial literacy to OFWs. There’s no extra effort required, the magazine will simply link to your site. Please email me back if you’re interested.